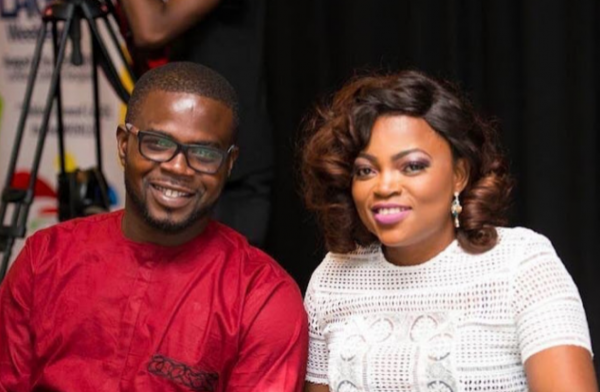 Nollywood actress and Jenifer's Diary art, Funke Akindele has been rumored to have been pregnant for twin babies for almost a week now and her follow actresses and actors has even congratulated her but it is shocking that his husband JJC Skillz just admitted to Punch that his wife is not pregnant. While speaking to Punch, the singer and music producer, JJC Skillz said on his Instagram post that sparked the Rumours was only but a declaration in faith as he tapped into a pregnancy prophecy by Nathaniel Bassey. “To God be the glory it would come to pass. My post on Instagram about my wife having twins was a prophecy from Olowogbogboro. Nathaniel Bassey came online and he had the prophecy, so I just tapped into it. If you look at my tweet, you would see what I wrote, I said I heard this news where he gave a big testimony, he gathered people around to pray for my wife and he said that he had a vision that she would have twins and that he will be invited to the naming ceremony next year. I received the good news and I pray it comes to pass. ” *Hmmm may we not deny our Blessings because of bad people….